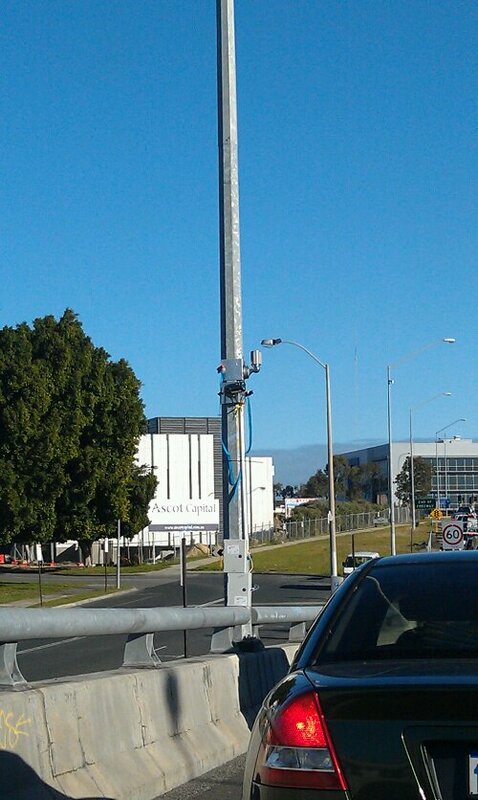 Anyone know what these traffic cameras are about. They are on the road either side of the Graham Farmer Fwy Tunnel. 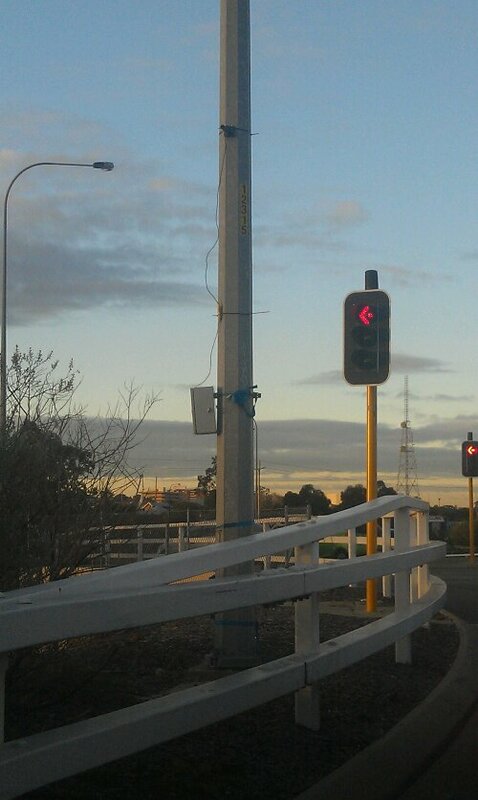 They were in place a few weeks ago but then taken down. They have now been back for the last two days. 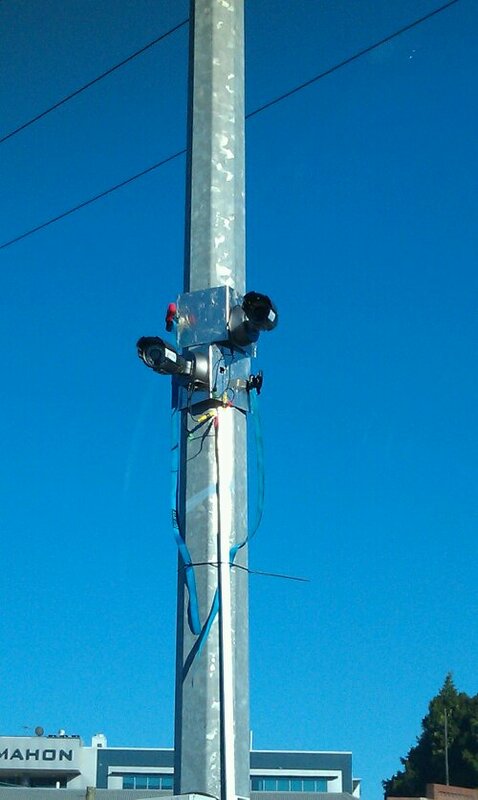 They appear to be a cluster of cameras strapped to poles and wirelessly sending a signal to a relay poorly hidden tied to another street light. The part that confuses me is that none are facing the traffic. Unless they have 180 degree vision I can’t work out their purpose. Leave comments if you know.